A few months ago, we featured our Supportive Transition Empowerment Program (STEP), a program of our Family & Children Services of Silicon Valley division, on this blog. 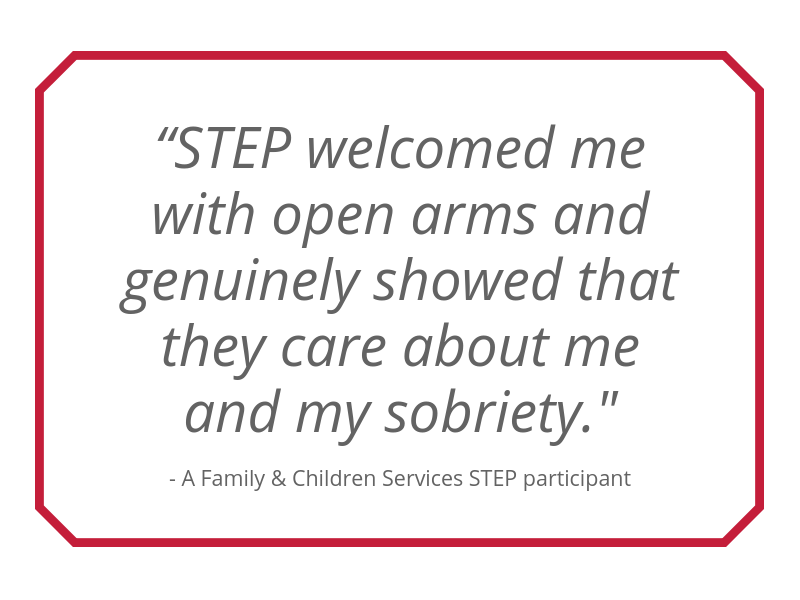 STEP provides addiction and recovery treatment services for adults in recovery while they are incarcerated and as they transition back into the community following release. Clients receive continuing care on their recovery journeys. Since that introduction, the team has been working hard and expanding their reach, especially in support of LGBTQI (Lesbian, Gay, Bisexual, Transgender, Queer, Questioning, Intersex) communities. The program has been providing well-received group services to individuals who are LGBTQI and housed in the men’s dorm at the Elmwood Correctional Facility. Given the success of the men’s program, the team is now exploring opportunities to start groups on the woman’s side at the Elmwood facility and to expand to the Main Jail. Recently, representatives from the program visited New Haven Inn, an LGBTQ+ friendly temporary housing facility in San Jose. New Haven Inn is the only exclusive LGBTQ+ shelter in San Jose and the STEP team looks forward to working with New Haven Inn to direct clients to their specialized and culturally competent services, as well as to provide services directly to New Haven Inn’s population. In addition to the expansion of important services specifically for LBGTQI communities, STEP will soon begin partnering with in-custody doctors at the Main Jail to provide training for Naloxone (NARCAN) distribution after a client’s release. Naxolone is a medication designed to reverse opioid overdose; proper use also requires careful monitoring after application. Training will instruct clients on how to administer NARCAN and will distribute the medication for the trained clients to have on hand in the event of an emergency in the community. This is an exciting move forward in the battle against opioid overdose. The team is also expanding from a staffing perspective. A volunteer from the LGBTQI community will partner with the STEP group facilitator to provide support groups at New Haven Inn. The team also has welcomed two new Transition Counselors. Finally, STEP Manager Joseph Iacocca, LAADC/CADC-II, reported that the team was delighted to receive and screen 43 referrals last month. Six referrals were placed in treatment, 10 were placed in recovery residences, and the others are currently working with their Transition Counselors as they prepare to integrate back into the community. We appreciate the dedication of the STEP team as they serve their clients and our community!